Clean the fish, peeling the scales and the intenstins. Pour water to clean well inside and out and drain. 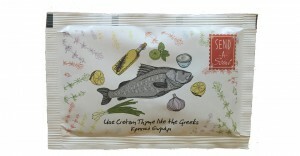 In a bowl, mix the salt, the pepper and the Send-A-Scent Aromatic Cretan Thyme. Spread some olive oil on the fish (in the inside as well) and sprinkle with the mix. 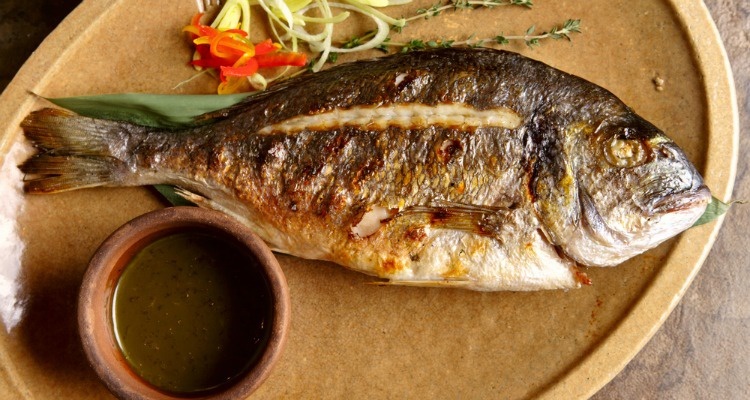 Barbeque or grill the fish. You may only turn it once and allow cooking time of about 10 minutes for every pound of fish. Pour the lemon-olive oil over the fish and serve while warm. In order to make the lemon-olive oil sauce, place some olive oil in a bowl and batter in a freshly squeezed lemon. Good luck!